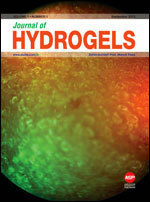 Journal of Hydrogels (JH) is a multi-disciplinary peer-reviewed journal aiming to integrate the fundamental and applied research activities on the hydrogel synthesis, physical and chemical characterization, spectroscopy, properties, formulations for applications in various areas such as pharmaceutics, food industry, cosmetics, environmental remediation, tissue engineering, restorative medicine, controlled drug delivery, medical imaging, etc. The journal publishes original research papers, timely review articles with author's photo and short biography, and rapid communications on important new scientific findings in the field of hydrogel science. The peer-reviewed proceedings of scientific meetings, symposia and workshops related to hydrogel science are also published.